If you are looking for a romantic dining atmosphere along with some of the finest foods and impeccable service reserve a spot for a fine dining experience. 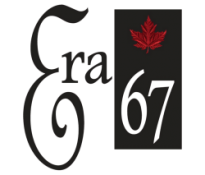 Why not try Sixteen Front or Era67 in Orillia or how about The Mill St. Bistro in Coldwater or Silks at Horseshoe Resort in Oro-Medonte there are a number of options to chose from for fine dining restaurants in Ontario’s Lake Country. The Lighthouse 45 Restaurant is a delight for the eyes and the palate – hidden among a natural waterside landscape it exudes culinary excellence. Our breakfast, lunch, dinner & dessert menus highlight an array of the freshest, locally sourced produce in the region. Here, our chefs, artfully blend savoury tastes with innovative touches. This elegantly appointed space features a classic contemporary design and a lavish floor to ceiling glass wine display. Private dining is available in an intimate room. Whether you are hosting a waterside wedding, corporate function or special celebration – Rawley is an idyllic setting to bring your guests together for a memorable event. For a more casual atmosphere, our Waterside Patio is perfect for enjoying a gourmet burger, while watching a parade of passing yachts. The Waterside Patio combines outdoor comfort with a sense of rustic elegance. Our piano bar & lounge is the perfect place to unwind with friends and enjoy the sounds of our live entertainment. Our full-service bar features an unmatched collection of cocktails, wines, aperitifs, premium liquors & craft beer. Considered a must-see nightlife setting in Georgian Bay, don’t miss our picturesque vantage point on the water. Experience our upscale casual dining at Echo’s Dining Lounge. Savour the panoramic view of Sparrow Lake while you enjoy delicious meals that exceed your expectation. Open to the general public Echo’s Dining Lounge typically serves three meals daily at set meal times. Reservations recommended. The team at the Grape and Olive is proud to offer their customers some of the finest meals in Orillia made with the very freshest ingredients available. Our fine meals are complemented perfectly by our exquisite wine menu and extensive martini selections. The Grape and Olive offers exceptional signature entrées for breakfast, lunch (seasonal), dinner, a delectable array of mouth watering desserts made in house as well we Proudly Serve Starbucks Coffee. Meals can be enjoyed in our beautiful relaxing dining room, in our Grapevine lounge or on our patio. From the moment our guests arrive they are welcomed and received as friends, our experienced staff with a fine eye for detail will cater to all wants – we guarantee an unforgettable experience. 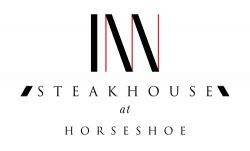 Big and bold flavours, the freshest of local ingredients and select steaks make the INN Steakhouse at Horseshoe a fresh, dining option. The INN Steakhouse dining experience offers a wide variety of AAA farm raised Canadian steaks in cuts that will satisfy the heartiest of appetites. Choose from a full selection of entrees, salads and appetizers all prepared under the award winning, culinary direction of Executive Chef Dylan Tulloch. Lakeview Restaurant offers a wide selection of family-friendly appetizers, entrees, desserts, signature cocktails, draft beer, and a very popular variety of wines. Open for breakfast, lunch, and dinner daily. Seasonal seating available on our beautiful water side garden patio with wonderful scenic views. Located in Lagoon City as part of the Knights Inn Lagoon Harbour Resort & Hotel. Experience dinner in our dining room or on our beautiful patio, curl up at the fireplace with a glass of wine, you can’t help but let the stress of your day melt away in our calming and welcoming environment. Our menu is filled with classically inspired Italian fare with a simplistic modern twist. Rich cream sauces, vibrant tomato and pesto sauce, fresh and tender proteins are our signature components. Our chef strives to use the freshest ingredients our region has to offer. Our wine and drink menus complement our dinner offerings to perfection and will satisfy even the most discerning palates.